On 8/12/2016 at 6:08pm, SSgt. Tirotti #5917 was on single patrol operating a 22' Zodiac in the area of Cape May Harbor, Lower Twp. While monitoring VHF Ch16, he heard a captain’s frantic "Mayday" call advising his vessel a 45' Silverton Motor yacht, with three persons on board, was sinking in the Atlantic Ocean off of Wildwood Crest. SSgt. Tirotti demonstrated superior seamanship operating in six foot sea conditions while searching for the sinking vessel. 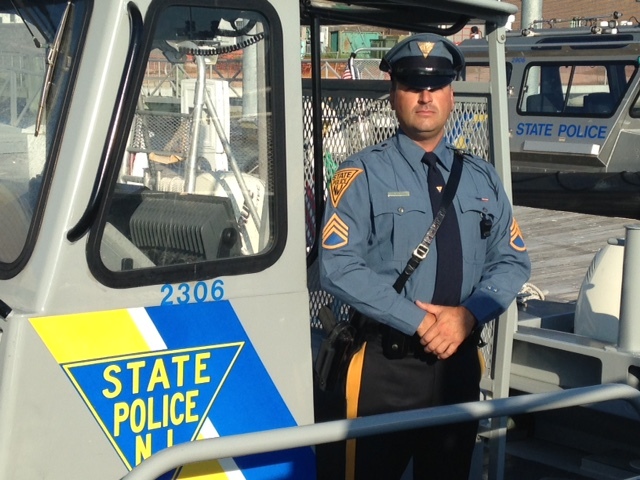 SSgt Tirotti was able to locate the victims approximately two miles off the coast of Cape May. 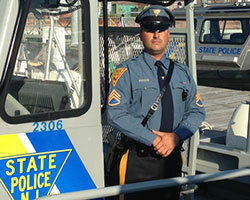 SSgt Tirotti observed the three elderly occupants in the water holding onto a single life ring. SSgt Tirotti, maneuvering his vessel in the six foot seas, approached the three men who were disoriented and in a panic. The owner of the vessel, John Green, 61, advised he could not swim but asked SSgt. Tirotti to rescue his friend Robert Leach, 72, first due to medical conditions. Once he pulled Mr. Leach to his vessel Mr. Leach advised SSgt. Tirotti that he had no more strength and could not pull himself onto the Troop vessel. SSgt Tirotti without hesitation single handedly pulled Mr. Leach out of the water and onto his vessel. SSgt. Tirotti then returned and tossed the life ring to the second victim Mr. Green who could not swim. SSgt Tirotti quickly pulled Mr. Green toward his vessel and on board. SSgt. Tirotti again returned for the third victim, Robert Fluehr, 73, and pulled him safely on board. No injuries were observed or reported by the victims. SSgt. Tirotti safely transported the victims back to their home port in Cape May Harbor were they refused medical treatment. Despite the physical status, exhaustion and age of the victims, SSgt. Tirotti single handedly pulled all three victims on board to the safety of his 22' Zodiac patrol vessel. If it were not for SSgt. Tirotti's actions on this day these three boaters would have surely lost their lives. SSgt. 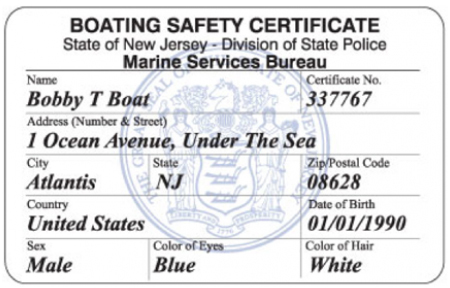 Tirotti's actions reflect greatly on him and serve as a credit to the Marine Services Bureau and the New Jersey State Police.